The latest attraction in Buenos Aires, El Monumento a Las cataratas del Iguazú, brings the splendour of Iguazu Falls, one of the New7Wonders of Nature, to the centre of the city. 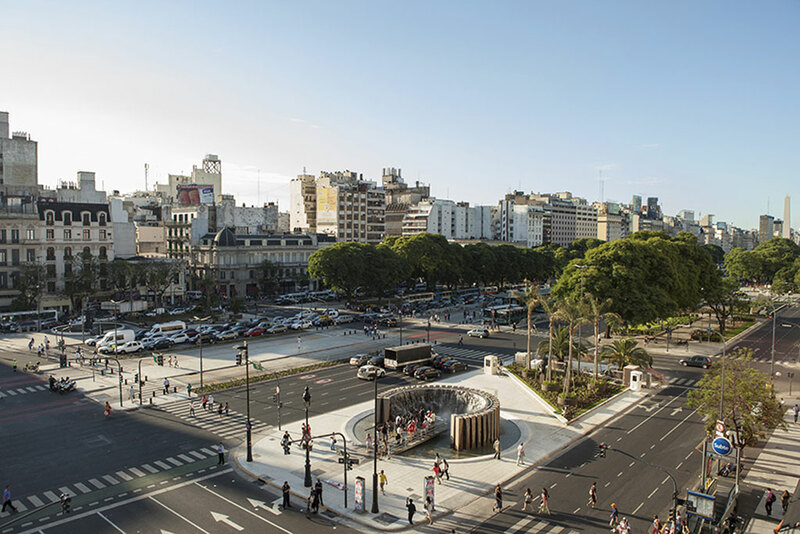 The location of the monument is a critical factor in the success of the project as it is just 100 metres away from Buenos Aires’ most famous structure, El Obelisco (The Obelisk). 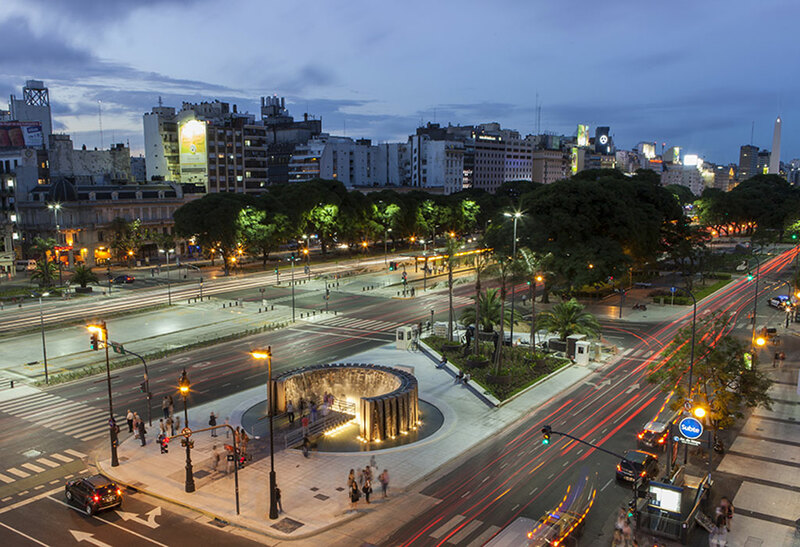 Extending from the city’s middle as a symbol and rallying point of the huge metropolis, The Obelisk intersects two of its most important street — the long hub of Corrientes, and the “widest avenue in the world”, 9 de Julio. Millions of commuters travel under El Obelisco every day, since many of the city’s metro lines converge and connect at the 9 de Julio station, which lies beneath the Plaza de la Republica, where The Obelisk stands. 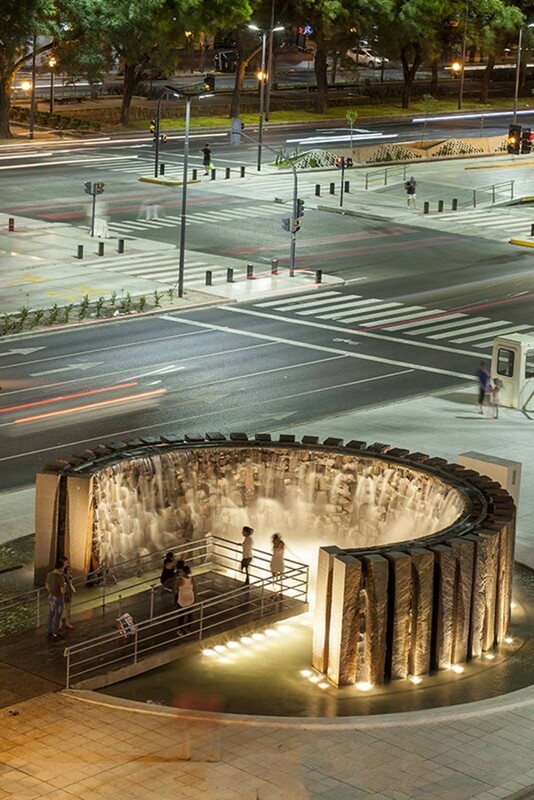 Now, when they emerge from the underground, day or night, the New7Wonders Iguazu monument offers them an oasis of nature where they can take a break from the hectic pace of urban life. For all those who voted in the New7Wonders of Nature campaign and, especially, for Iguazu Falls, the monument is a permanent reminder of the power of participation, while it offers tourists a dramatic new backdrop for their Buenos Aires experience.